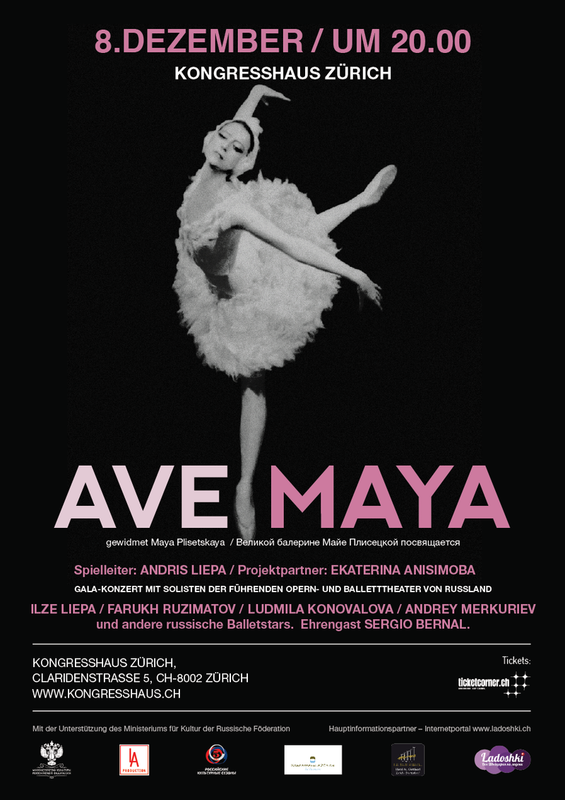 December 8, 2016 Soloists of the leading Russia Theatres present a Gala concert dedicated to Maya Plisetskaya it takes place in the congress hall of Zürich. 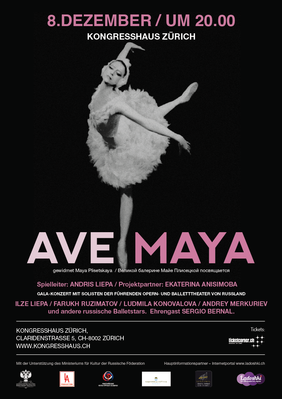 The dancers Ilse Liepa, prima ballerina of the State opera house in Wien Lyudmila Konovalova, soloist of Bolshoi Theatre of Russia Andrey Merkuryev and soloist of other leading ballet companies of Russia will present the Miniatures which brought Maya Plisetskaya world wide acknowledgement. The guests of the Gala concert will once again see the most significant roles and dances of the world ballet on the stage.